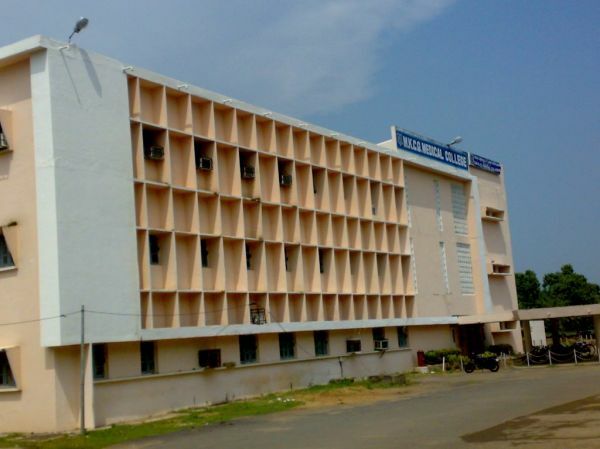 The Maharaja Krushna Chandra Gajapati Medical College was established in 1962. The Department of Community Medicine started functioning for under-graduate teaching in December, 1963. Postgraduate course in Social & Preventive Medicine (now Community Medicine) started since 1972 and recognized by the Medical Council of India. The Department of Community Medicine is functioning with its ancillary wings, Viz; Epidemiology Unit (Immunization Clinic & Anti-Rabies Clinic) and Preventive Geriatric Clinic at OPD of the Hospital, Urban Health Training Centre, Ankoli and Rural Health Training Centre, Digapahandi. The Department is engaged in teaching and training of Undergraduates, Interns & Post-graduates and also undertakes research on various aspects of Public Health. Besides this, students of paramedical sciences like Pharmacy, Nursing, Laboratory Technology, Radiation Technology etc. are undergoing training in different wings of the Department. Further, some of the Primary Health Centers / C.H.Cs of southern districts of Orissa are utilized for training of Interns. The department is fully equipped with staff, library, museum, equipments etc., to march ahead with the objective of “Reaching Excellence” in teaching, training, research and service.